Important Notice for Members of the Lestat Book Coven, from your coven master! I believe it is time for an imperative update about changes that are taking place, once again, for our discussions. For all that have been participating in our live chats, I thank you for your enthusiasm, frankness, and trenchant observations about Anne Rice’s Vampire Chronicle books. We have a window of four months or so, before Prince Lestat is finally released into the world, and I think it’s time to improve our schedule and events, not just for consistency sakes, but also make our journey to the release of Lestat’s forthcoming return more meaningful and sensible. So, my first order of business is to officially welcome back our favorite discussion posts, where I answer two or three of the discussion questions, related to our reading assignments . These will be posted every Saturday, beginning with July 12, 2014. Of course, I will be posting our first discussion questions and reading assignment for The Vampire Lestat below this very formal note about our changes in the style and formatting of our discussions. These discussion posts will be posted on my blog,opening up the discussion to those people that have been unable to partake in our live chats, or maybe have a host of reasons for preferring text-based posts over video posts. I’ll always be posting Facebook post updates about each post either on Anne Rice’s Facebook Fan page, the Lestat Book Coven Facebook Group page, and the mailing list for the Lestat Book Coven (embedded hyperlink will take you to page to sign up for this). I think many people have felt cut off without the discussion posts, reading assignments, etc. They certainly helped me stay more organized, because otherwise I’d feel like all our discussion posts and assignments would feel cluttered and all over the place. So, by having the discussion posts make a welcome return, all those members that have felt “lost and confused,” and feel like wayward wanderers, can venture back comfortably, and partake in our discussions without having this group become a burden in their busy schedules. To make those that prefer the live chats feel included, the live chats will continue uninterrupted and unchanged till October 28, 2014. They will always be Sundays at 2pm. Eastern, unless otherwise noted. Our discussion for this Sunday, for example, has been cancelled, but the next live chat will be July 13, 2014. Now onto bigger and better things, next Saurday, July 12, 2014, I will be attending Thrillerfest IX, where Anne Rice will be attending and signing books. I am really, really excited to see Anne and others, after about a year of a break. As promised, I will be getting Jo Vee’s artwork signed, by Anne Rice, and also the special Lestat-themed poem. Now, Jo Vee has made some very special, unforgettable artistic contributions to this group, and I cannot wait to tell Anne Rice about her, and give her the chance to have something very special and unique signed for her prize for the group. More importantly, I will film as much video and take as many pictures as humanly possible, to make you all feel as though you are attending the event itself. So, I hope by this coming Thursday to have a post up, detailing my coverage of ThrillerfestIX. The Vampire Lestat Contest-Resurrection of the musical’s “Fall from Grace,”-Creating the “Prince Lestat,” Musical! Back in 2005 and 2006, Elton John and a team of very talented writers and musicians, created the ill-fated, underrated Lestat musical. Unfortunately, fans that were unable to attend have to rely on some illegal means to either get MP3 recordings of the songs, or to even watch amateurishly filmed videos of performances on Youtube. To not only celebrated Lestat’s fated return in the form of a new Vampire Chronicles volume,we are going to have an extremely fun contest, which anyone can enter in three different ways. *Write a new song for a Prince Lestat musical, expressing the themes of the character of Lestat and the other vampires, which you feel could hypothetically prove important in Anne Rice’s upcoming book. Essentially, if Elton John sent you an email, asking you to help him write a song for a new Lestat musical (not that he has the time and energy, or you have the clout to be recieving this sort of mail), you must write a song then reflecting one of the many themes brought up in Anne Rice’s Vampire Chronicles, which may prove important in Prince Lestat. You may record yourself singing the song, or even creating instrutmentals for the song, which I will happily share with Anne Rice! But, I will stipulate that this will not help you win the contest. To be fair to everyone entering this contest, I will be picking someone at random, without the use of Rafflecopter, but I can assure you that it will be completely random, and my subjectivity will not bear any weight on the selection of the winner. I don’t want to dissuade people from entering, daunted by the idea that the “only the best” will win. Rather, I want your written or recorded entries to be for fun. And, I want to put them all together in both video and text form (create a fake binder script) for Anne Rice, to express our fervent love and admiration for bringing her imaginative world into the public sphere, and letting us all share in our huge showering of gratitude and other effusive words for Anne Rice’s willingness to give us a cathartic world that has taught us to find meaning, substance, and verve in a world that not just Lestat, but others, can become jaded and crushingly disenchanted by the limits of our reality. Due to the creative nature of this contest, you will have till August 15, 2014 to finish your entries and have them submitted. This contest is open to all people, all over the world, and you are only allowed one entry. Nonetheless, you are free to write as many hypothetical tracks for the hypothetical Prince Lestat musical, but one entry will only be counted to be fair to those with certain time constraints in their lives. It is only fair to give people, with crazy schedules, a chance to win this contest. So, please send all entries to narniafanatic(at)gmail(dot)com!! In a sense, I’m being retroactive with this assignment, but we will be discussing the first 100 pages of The Vampire Lestat next week, so our live chat regulars may feel like we are backtracking, but this gives a chance for people that have not partook in any our discussions the chance to start now. 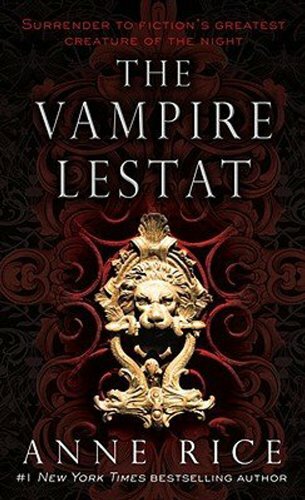 So, the first 100 pages of The Vampire Lestat will be what both our live chat, and my discussion post on July 12, 2014 will be mainly dealing with. 1. 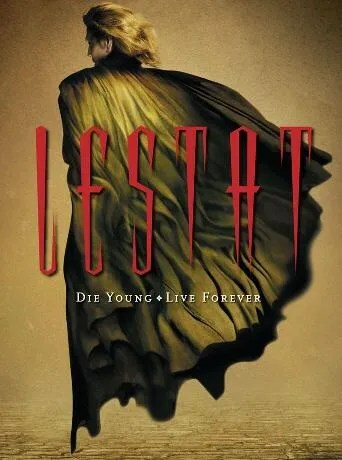 In the first 100 pages or so, cite any incidences of foreshadowing about Lestat’s eventual transformation into a vampire. What clear signs in his actions, his thoughts, his ideology seems to display the fact that he’ll have an easier time adapting, psychologically, to the lifestyle of being a vampire? 2. Ponder Lestat and Nicholas’ relationship. Does their relationship prefigure Lestat’s later relationship with Louis? What are your thoughts on Lestat’s antipathy for superstitions like “witch burnings,” and his existential vexations? 3. How does the scene where Lestat hunts down the wolves, mirror later sequences in Anne Rice’s The Wolf Gift,where the supposed civilized member of society, ventures into the “primordial woods,” to freely express their primeval urges? If you’ve read The Wolf Gift, do you think Anne Rice uses that book to address some ethical or philosophical issues raised in the series? This is based on the first one-hundred pages of this text, but it is a question we will be returning to again and again during our reading of The Vampire Lestat. So, as a fledeling member of this coven of the articulate, how can I participate in this coming discussion? If you have a busy schedule, you are welcome to discuss any of these questions from now until July, 13, 2014, by joining our Lestat Book Coven Group on Facebook, emailing me privately your thoughts at narniafanatic(at)gmail(dot)come under the subject line “Prince Lestat Book Coven,” or commenting on the upcoming discussion post related to this post appearing on July 12, 2014. Thanks to everyone for taking the time to read this!! Comment below, if you have any questions, concerns, or suggestions! !